Australia’s leading battery wholesaler and distributor, Sealed Performance Batteries, is seeing fast-growing demand for their Sentry Lithium product range in the marine sector. Starting out with clients primarily in the automotive industry, the business has expanded its reach over the past twenty years. Sealed Performance Batteries is now a globally recognised brand, renowned for its customer-focused delivery of portable energy solutions to sectors as wide-ranging as defence, recreation, health, critical power and energy storage. Bolstered by partnerships with world-leading manufacturers, the company’s reputation has steadily grown and a recent project has seen the battery experts navigating the waters of marine energy. 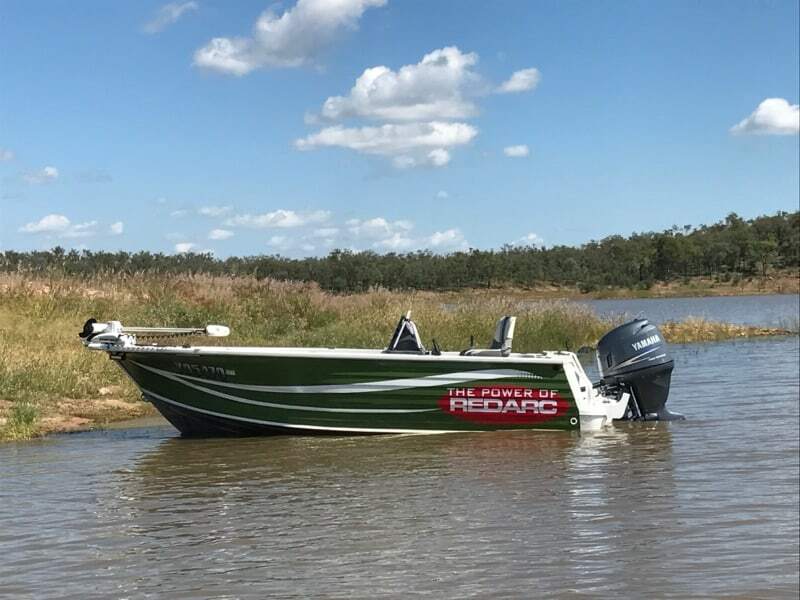 The Queensland-based distributors were approached by M & J Auto Electrical to supply a new system for director Mick Johnson’s boat. Based in Chinchilla, M & J Auto Electrical operates on a mobile basis and provides a comprehensive range of auto electrical services — repairing everything from air-conditioning in cars to alternators in earthmoving equipment. In need of a new battery system for his boat, Mick approached Sealed Performance Batteries after hearing about the company’s reliable, solution-oriented service. He required his new set up to provide a fast charge but low weight — a brief that made the Sentry Lithium range a clear choice. Having launched just last year, the series is already proving popular, thanks to its convenient cell voltage, high energy density and long cycle life. But perhaps most attractive is its position as one of the safest lithium technologies available. Mick replaced his existing system which contained two 12V 120Ah AGM batteries in series, weighing a total of 64kg, and two crank batteries at 38kg total, for a combined weight of over 100kgs. Mick’s new lithium set up consists of two 100Ah Sentry Lithium and two Super Sport lithium starter batteries, weighing in at 12.2kg and 1.5kg respectively for a total round 27kgs giving a total weight saving of over 70kgs. The lighter weight provision of the lithium range is a key advantage for marine energy customers, and Mick has already noticed a difference with his new set up. But not only is Mick’s boat lighter and faster as a result of his new Sentry lithium set up — his total cost of ownership will also be significantly reduced. With up to 8 times the life cycle of the equivalent lead acid, Mick can expect to save up to 50% in battery hardware costs over the lifespan of his new system.